When your Colombian friends tell you to go to a particular Colombian restaurant, you go. 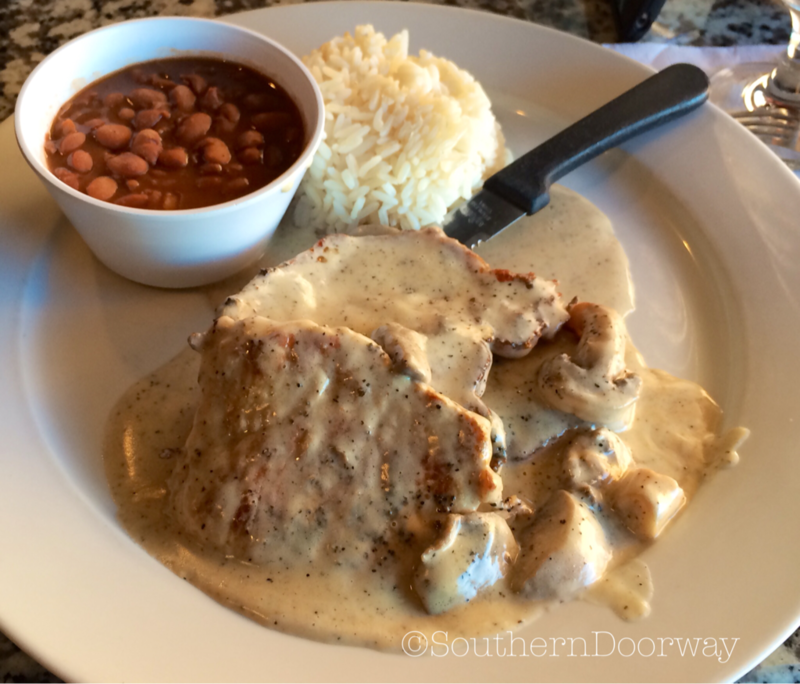 So for my birthday, my husband, son and I decided to try Kiosco Restaurant, just off Historic Marietta Square. Kiosco has rave reviews online and has been pretty packed when I’ve walked by before, so that, combined with having my three-year-old along, prompted us to be there right when it opened at 5:45. It’s a small but cozy place, so if you are aiming to eat at a busier time, reservations are advisable. We had the restaurant to ourselves for part of the meal, but it was filling up as we left. 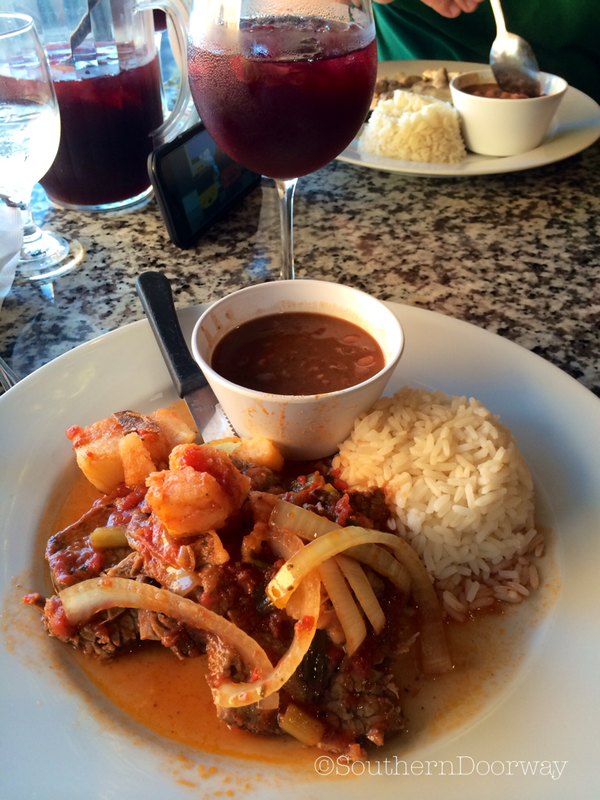 We started off with a generous pitcher of the sangria and a delicious order of maduro frito or fried sweet plantains. My entree was the Bistec de Carne (beef brisket and potatoes, sautéed in onions and tomatoes) and my husband had the Cerdo en Salsa de Pimiento (pork loin in black pepper gravy). I won’t start throwing around a bunch of foodie jargon because I’m no Gordon Ramsay (aside from the cursing), but since I like telling people what places are worth checking out, let me assure you that both were delicious and the service we received from Steven was excellent and friendly. I wish we would have had time to linger more over our meal, but as I mentioned…three-year-old. Specifically one on the autism spectrum who is a happy boy, but is not always happy quietly. Should you take the kids? That depends. Like I said, it’s a small space, so not ideally suited for younger, more rambunctious children, but you’ll be fine if your kid does well in restaurants. The kids’ menu has a decidedly Colombian flair as well, so it won’t appeal to your lover of fried chicken nuggets and hot dogs. If your child has a more adventurous palate, they will be very pleased with the selection, which includes empanadas and carne asada. I look forward to returning, but will likely leave my guy with the grandparents so we can have a leisurely meal, though he was accommodated wonderfully while we were there. 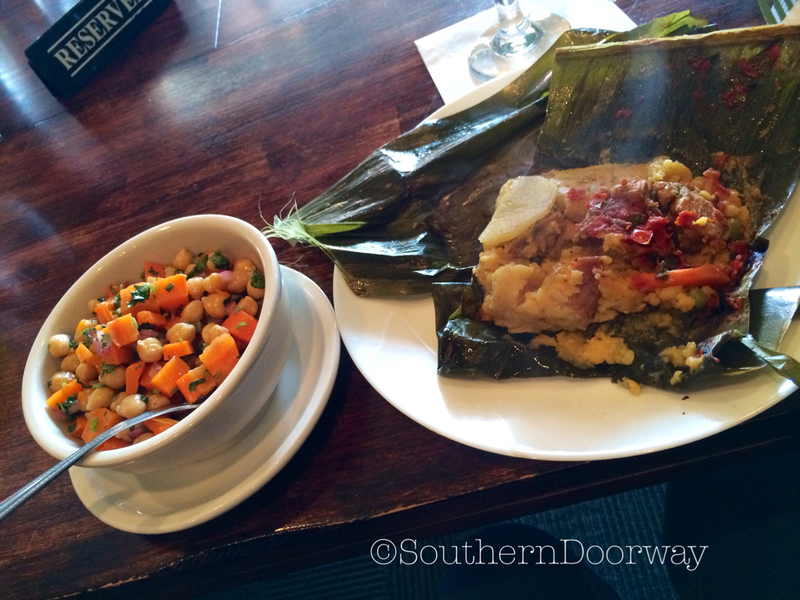 I ended up getting the opportunity to try one more dish a few weeks later since Kiosco is a stop on the Marietta Food Tour — the tamal Colombiano (Colombian tamale), tender pork and chicken wrapped in a banana leaf. Suffice to say that after enjoying three different entrees, an appetizer, chickpea salad, lentil soup and sangria, Kiosco is firmly on my list of places to go again. The lunch menu is a slightly limited version of the dinner menu. 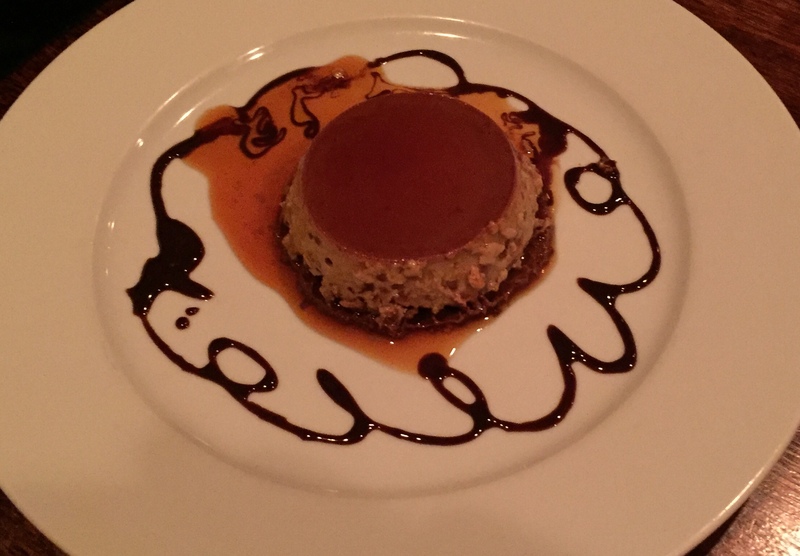 Update: We took my parents there for dinner last night and I must add the coffee flan to my list of recommendations. It took my full restraint, and the presence of my own mother, to keep me from licking the plate. You’re awesome, I hope to serve your family. Again very soon! When you say KIOSKO- you’ve said it all. Raspberry Chicken RULES!